These replacement seat covers are only for the Chevy Camaro Coupe model for the 1968 model year. Made with Madrid Grain Vinyl. It is the same material GM Used Originally. TMI Products include a limited lifetime warranty: cloth products include a 1-year warranty. These replacement Seat covers are for the 1968 Chevy Camaro Coupe models. Manufactured to factory specifications and workmanship. 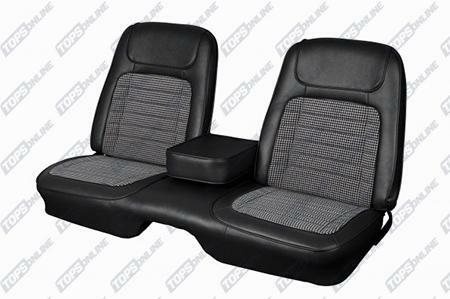 These replacement Vinyl Seat Covers and are the Full Set (Front and Rear) or Front Only for the 1968 Chevy Camaro Coupe models with BUCKET seats. Important Note: Please be sure of your Rear Seat Width when placing your order to ensure that you receive the correct Upholstery Set. 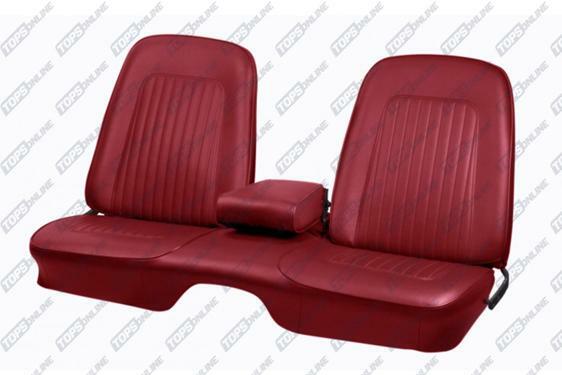 These replacement Vinyl Seat Covers and are the Full Set (Front and Rear) or Front Only for the 1968 Chevy Camaro Coupe models with BENCH seats. 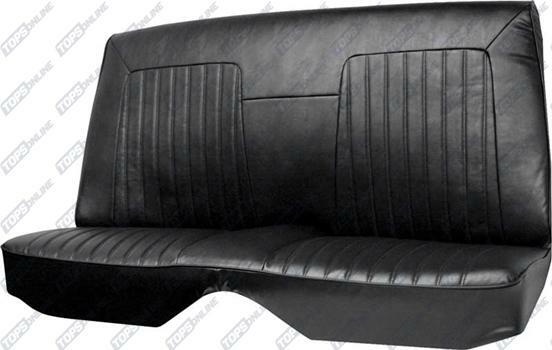 These replacement Vinyl Seat Covers and are the Rear Seats Only for the 1968 Chevy Camaro Coupe models. 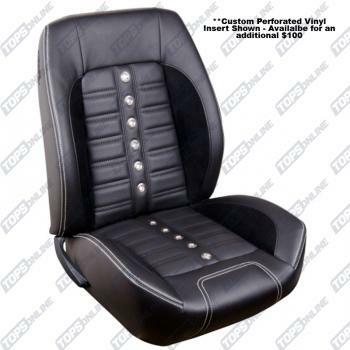 These replacement Vinyl Sport Seat Covers and are the Full Set (Front and Rear) or Front Only for the 1968 Chevy Camaro Coupe models with BUCKET seats. These replacement Deluxe Vinyl Sport Seat Covers are the Full Set (Front and Rear) or Front Only for the 1968 Chevy Camaro Coupe models with BUCKET seats. 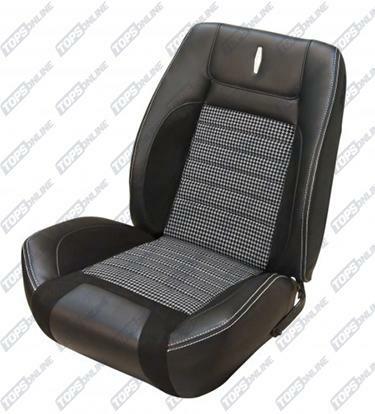 These seats feature deluxe vinyl upholstery with or without Deluxe Houndstooth inserts. 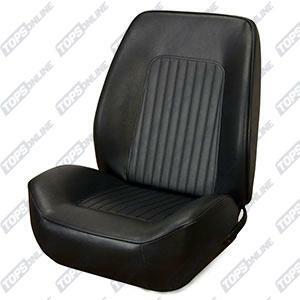 These replacement Vinyl Sport II Seat Covers and are the Full Set (Front and Rear) or Front Only for the 1968 Chevy Camaro Coupe models with BUCKET seats. Sport II seat covers are an updated and improved version of the TMI Camaro sport seat covers. These Camaro Sport II seat covers feature the exact styling elements and materials as the stock replacement 1968 Camaro seat covers, but feature more aggressive bolstering and padding for a more comfortable, contoured seat. 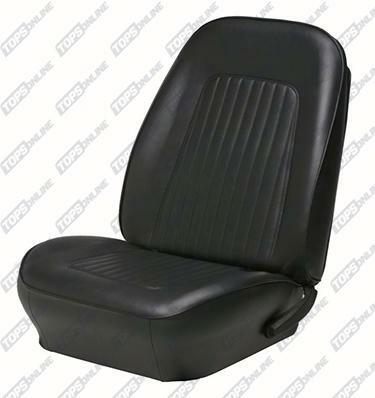 These replacement Deluxe Vinyl Sport II Seat Covers are the Full Set (Front and Rear) or Front Only for the 1968 Chevy Camaro Coupe models with BUCKET seats. Sport II seat covers are an updated and improved version of the TMI Camaro sport seat covers. These Camaro Sport II deluxe seat covers feature the exact styling elements and materials as the stock replacement 1968 Camaro seat covers, but feature more aggressive bolstering and padding for a more comfortable, contoured seat. 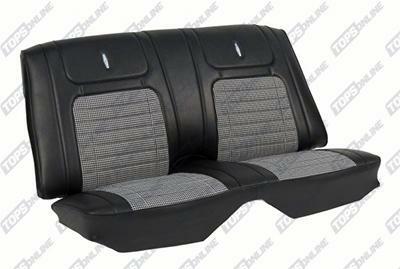 These seats feature a deluxe vinyl with a Madrid grain finish, or Deluxe vinyl with a Houndstooth insert. These replacement Vinyl Sport R Seat Covers and are the Full Set (Front and Rear) or Front Only for the 1968 Chevy Camaro Coupe models with BUCKET seats. 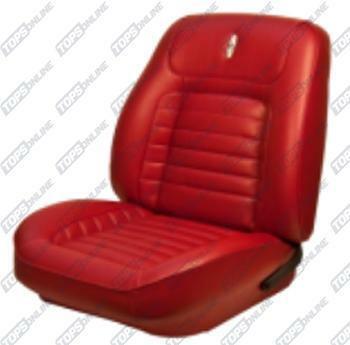 These replacement Deluxe Vinyl Sport R Seat Covers and are the Full Set (Front and Rear) or Front Only for the 1968 Chevy Camaro Coupe models with BUCKET seats. 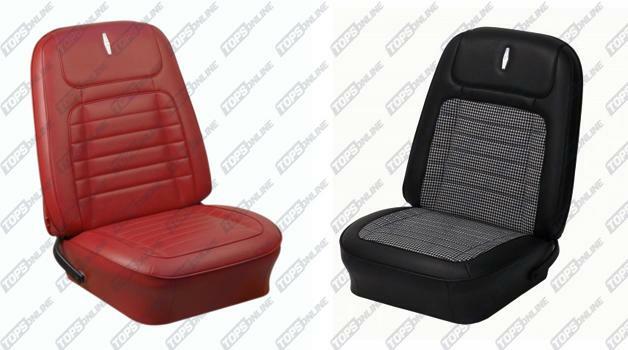 These replacement Premium Vinyl Sport Seat Covers are the Full Set (Front and Rear) or Front Only for the 1968 Chevy Coupe models. It is an upholstery set used to transform the dull, unsupportive factory 1968 Seats into the Sport XR race style seats to keep you planted in those high G corners. 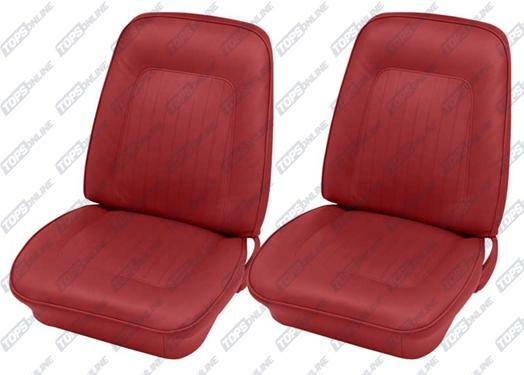 These replacement Premium Vinyl Sport Seat Covers are the Full Set (Front and Rear) or Front Only for the 1968 Chevy Coupe models. It is an upholstery set used to transform the dull, unsupportive factory 1968 Seats into the Sport X race style seats to keep you planted in those high G corners.